Dr. Nekeshia Hammond is a licensed psychologist and owner of Hammond Psychology & Associates, P.A. Her current focus is completing psychological evaluations (Gifted, learning disorders, ADHD, depression, anxiety, etc.). She is heavily involved in community endeavors with a motto of “give back” in addition to her private practice work. Dr. Hammond has also been a contributor for WFLA News Channel 8 and a contributing writer for Tampa Bay Parenting magazine. In August 2015, Dr. Hammond was one of 25 psychologists in the country to receive the Early Career Achievement Award from the American Psychological Association. She was also one of 30 individuals selected out of hundreds of applicants in October 2015 to receive an Up and Comers Award from the Tampa Bay Business Journal for the Under 40 years old category. 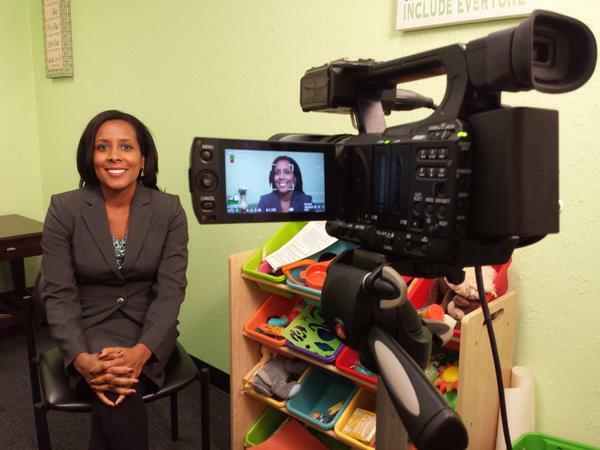 Dr. Hammond is honored to consult with the media to increase public education about mental health issues, and she has been featured in Life Improvement Radio, CBS Boston, Essence, WFLA News Channel 8, Tampa Bay Times, Deseret News, Tampa Bay Parenting, AM 1150 WTMP, Ebony, 105.5 WDUV, News 4 San Antonio, and more. In the community, Dr. Hammond has been actively involved with the Florida Psychological Association, where she is a key psychologist at the state and federal levels, advocating for patients of mental health and mental health professionals. In 2016, Dr. Hammond will serve as President-Elect of the Florida Psychological Association. She also serves on the Board of Directors for the Ryan Nece Foundation, where the mission is “be a beacon to teens by empowering them to impact giving in their communities”. In 2016, she will serve on the Executive Committee of the Ryan Nece Foundation. In addition to her Board of Directors involvement, Dr. Hammond regularly volunteers of her time at different outreach activities in the community. What can schools do to support students to cope with the emotional aspect of not only the events happening in Ferguson but exposure to violence in general? Schools can do many things to help students cope with exposure to violence. To begin with, schools need to be ready to address students that are exposed to violence, such as through counselors and other staff trained to assess children. Children really need to process what they are seeing. It is NOT okay for students to continually to be exposed to violence, whether they are witnessing or experiencing violent acts, and the schools remain silent and do nothing. If a child tells a teacher that he/she has been exposed to violent acts, the teacher has a duty to make sure the child is safe and to get the child to the appropriate person to help (such as a counselor). Additionally, schools need to continue promoting non-violent means to addressing conflict. There are many conflicts that occur in a school setting, and it is the schools role to teach children how to appropriately respond. Further, schools need to talk about some of the events happening in the media, and ask students their feelings on these events. It is normal for children to have a variety of emotions, ranging from fear, sadness, anger, etc. but when those feelings are ignored, they end up turning into behavioral issues, lack of concentration, bullying, etc. Lastly, schools need to work on increasing the training for teachers and administrators, a "what to do" guide for when children are exposed to violence. This additional training can help educators best help children heal from their experiences and be more productive in the school setting. What advice would you offer to law enforcement officials with regards to responding to the frustration and anger of a community and especially its children? I strongly believe that law enforcement officials need more sensitivity and cultural competence training, as well as increased education about how to handle distressed or emotionally charged individuals. Law enforcement officials can also benefit from trying to understand "the other side." In other words, there needs to be greater discussion for law enforcement officers to really try and grasp the frustration, anger, and fear at times in a community. People often look to the media for answers, but the media only provides what is occurring, often times not solutions, hence leading to strong emotional responses, such as rioting. It is time for communities and law enforcement officials to work on healing a long history of wounds and hatred. Just as parents should teach their children to respect police officers, police officers should be trained to respect the people they are serving.